Epic Games’ Fortnite might be the industry-leading battle royale game, but the developer behind the game is still taking smart cues from competitors. Starting next week, Fortnite will introduce what Epic is calling “reboot vans,” or places where players can bring their teammates back to life if they’ve been knocked out of a match for good. The feature is a direct copy of arguably the best feature of competing battle royale hit Apex Legends, which launched two months ago with so-called respawn beacons that let you revive your teammates. The feature, which first leaked back in late February, is designed to alleviate what is perhaps the most frustrating element of battle royale games today, which is losing a teammate early on and having to either quit then and there or spend the rest of the match playing a person down while your friend watches from the sidelines. In Fortnite, it’s relatively easy to first down an enemy — meaning to take away all of their health and shields but leaving them crawling on the ground to be revived — and then kill them outright, which removes them entirely from the match. 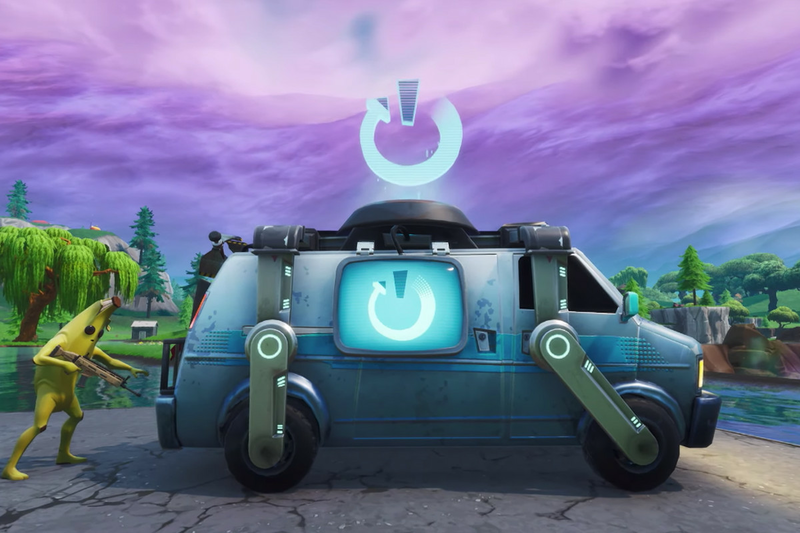 Now, Epic says you’ll be able to reclaim your teammates’ reboot card and then take them to a reboot van. Similar to Apex’s implementation, there are some limits. The reboot vans can only be used one time and by one squad, meaning after one is activated it goes dormant for the remainder of the match. There are also only a limited number of vans on the map, and some might get swallowed up by the shrinking circle, which makes them highly inaccessible unless you’re willing to risk dying yourself to bring your teammates back. This is the second big feature Fornite has taken from Apex Legends since studio Respawn Entertainment launched its competing battle royale game in back in February. The first, which Epic copied almost right away, was a ping system so you can nonverbally communicate with teammates by highlighting enemies, loot, and locations in the moment by just pressing a button. But as Epic illustrated best when it quickly reconfigured its team-building game into a competitive battle royale shooter back in the summer of 2017 — riding the wave created by Playerunknown’s Battlegrounds — it’s not really about who does it first, but who does it best.